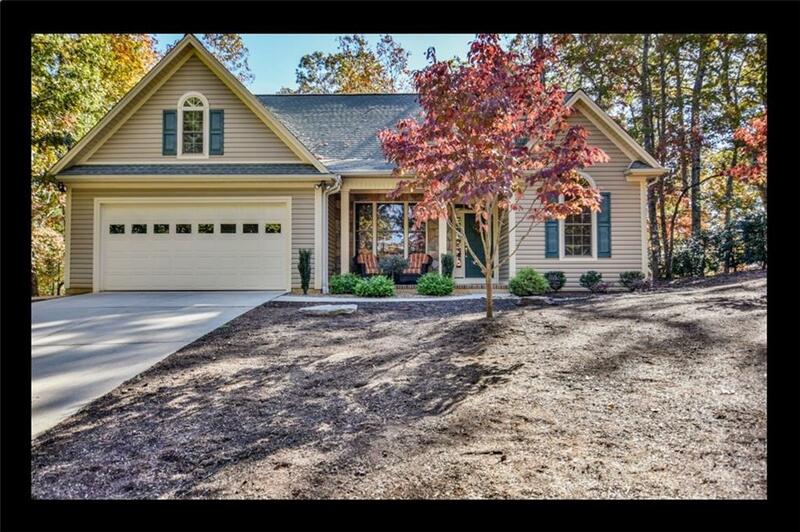 The ideal home is located in the gated waterfront golf, tennis, pickle-ball community of Keowee Key! Gorgeous one level home that so many people are searching for! This home is exactly that. Built in 2006, the current owners of this one-level home with a finished bonus room over the garage have enjoyed this home since 2015. They have added their special touches which include the kitchen renovation with appliances, cabinets, and granite counters, the covered porch now extends their home into the outdoors and also features a pergola, the flagstone stairs, and landscaping that added to the beauty and enjoyment of their wooded setting. The couple has enjoyed this three bedroom home with two full baths. The completed bonus room has served them in myriad capacities as a game room, over-flow sleeping, and hobby room. The hardwood floors throughout the living room, dining room, and kitchen gleam. A fireplace is a central feature of the open concept main level. A two-car attached garage provides additional storage! A covered front porch is a welcoming feature and the wooded and almost flat backyard is their sanctuary enjoyed from their covered porch. The square footage is an approximate size and buyers should verify if that is important. Keowee Key offers an incredible lifestyle with opportunities to become involved with so many different groups and activities. Walking trail, outdoor pools, fitness center, marinas, dog park...the list goes on. Listing reads well. Both bathrooms were renovated and the counters in the bathrooms and kitchen are quartz. Withing a 5-minute walk to the leisure trail.